Assemblage. 50x40x10cm (20x16x4inch). 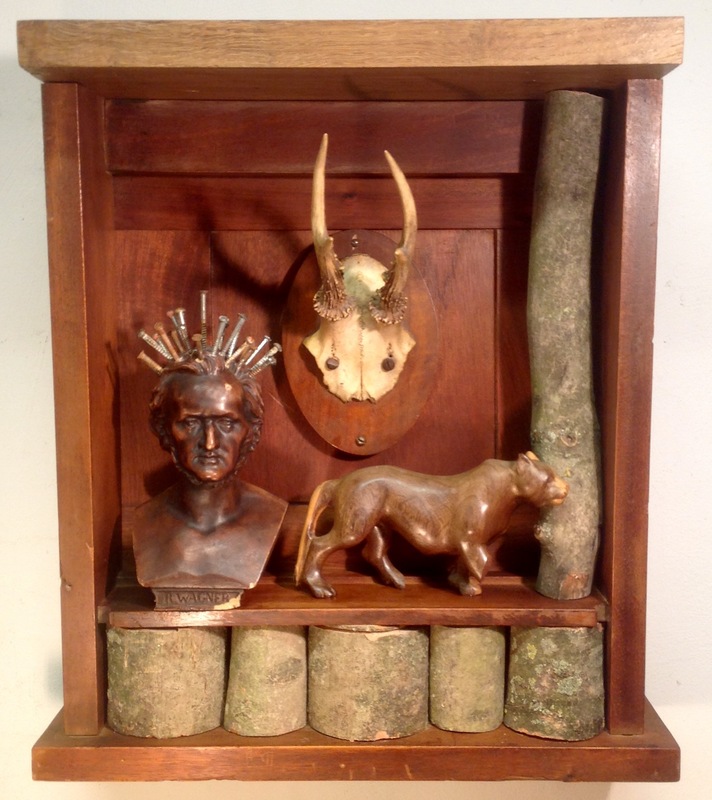 Parts of a church chair, branches from Schakenbosch, antlers, Wagner with rusted screws and a wooden tiger.